The most widely-used patch-clamp electrophysiology software is now even better. 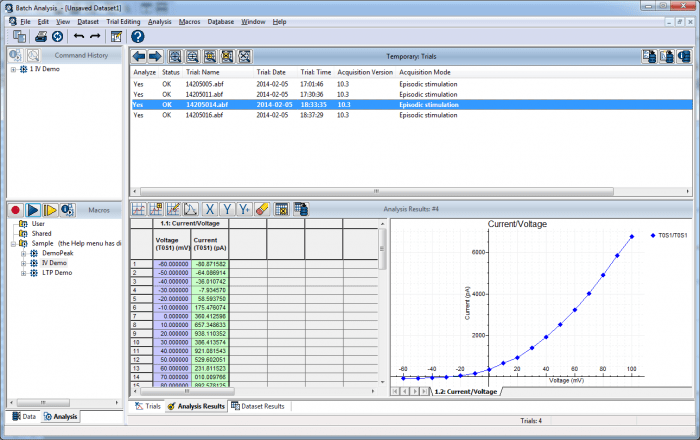 The Axon™ pCLAMP™ Software Suite is the most widely-used patch-clamp electrophysiology data acquisition and analysis program for control and recording of voltage-clamp, current-clamp, and patch-clamp experiments. 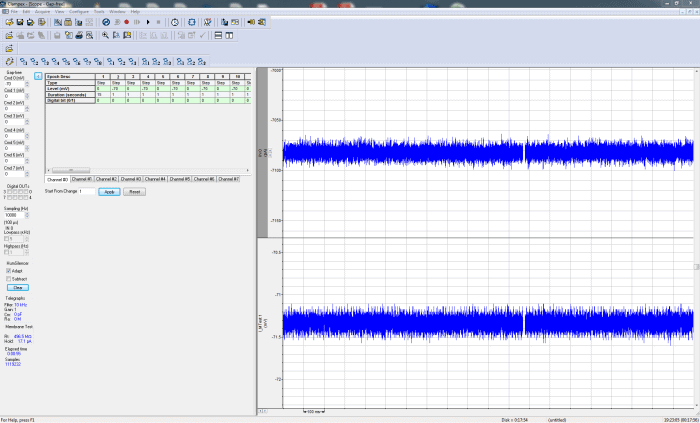 Clampex 11 Software offers unparalleled ease of use for data acquisition. 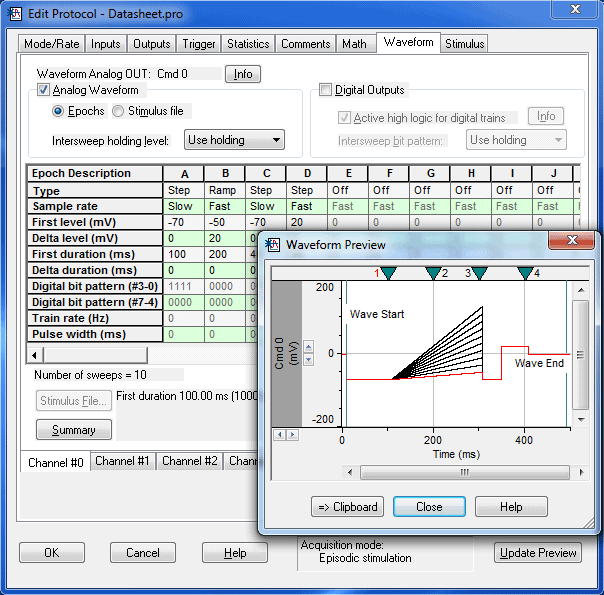 Enhanced Protocol Editor enables up to 50 Epochs in Episodic Stimulation (5x more Epochs than Clampfit 10), with the sweep duration increased up to 516 seconds at 10 kHz sampling. Now you can create more complex and flexible experimental protocols easily. The redesigned Membrane Test window displays up to eight channels simultaneously in one view. This parallel viewing allows easier control of cells and enables switching between cells much faster. 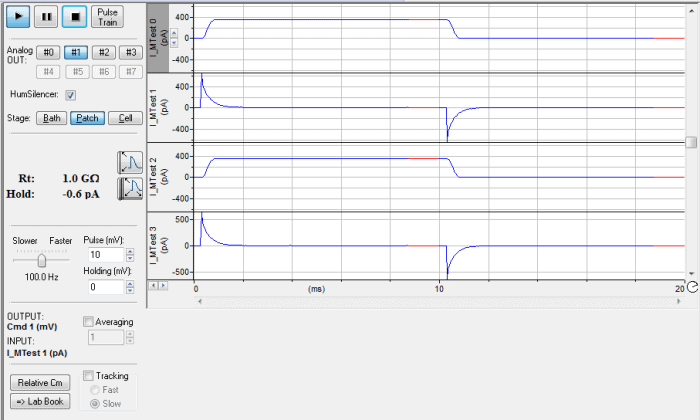 Gap-free recording is a simple continuous “chart-recorder” recording mode useful for monitoring single channel events, minis, and other spontaneous activities. New in Clampex 11, users can now execute protocol-editor-style Epochs and program digital or analog outputs in Gap-free recording. Clampex 11 is built on the previous version 10, which already has a powerful built-in feature set. 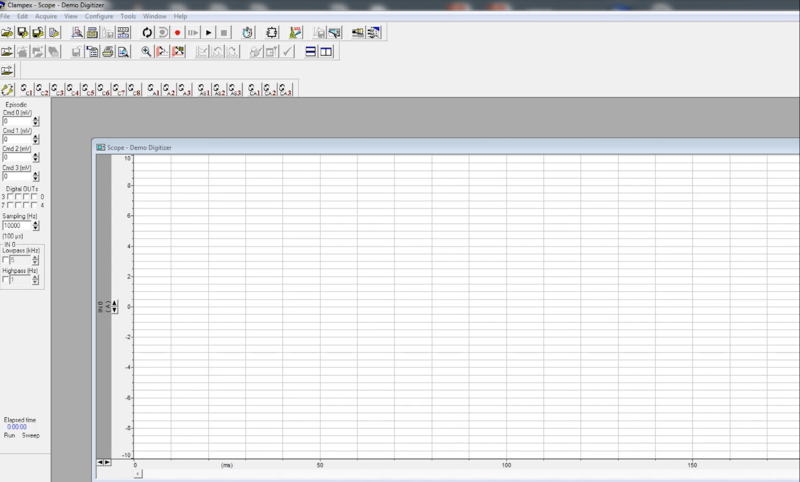 Clampfit 11 Software offers a comprehensive palette of tools for data analysis. This module is a set of tools that expand the capabilities of Clampfit to combine powerful analyses with ease-of-use. New Population Spike Analysis Tool—automatically calculates amplitude, area under the curve, coastline of spikes, etc. 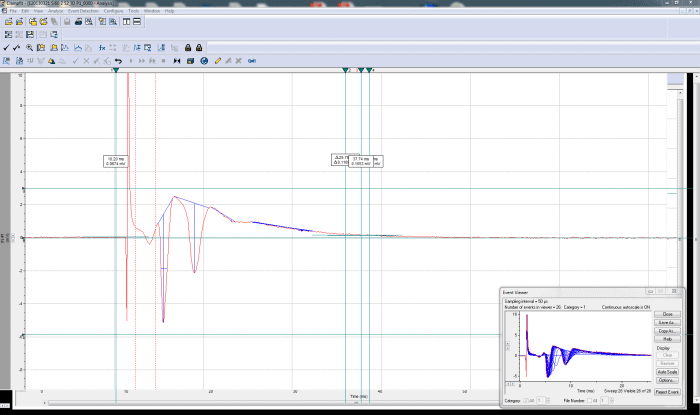 New Action Potential Analysis Tool—determines automatically the amplitude, APD90, rise & decay time, rise & decay slope, etc. **Professional, Enterprise, and Ultimate editions but not Home edition.